Old Cranks Cycling Group Ride Wednesday 16th November. This 22 mile ride never seems to lose it’s appeal! Nine of us left the Borough Arms Car park for the first leg of the ride to Wadebridge and after a brief stop we continued on to Padstow. The trail was remarkably quiet which makes it even more enjoyable. Stopping for food and drink before our ride back. I don’t know what they put in the drinks at the Shipwrights Inn but the Girls who went there absolutely flew home. I bet Bradley Wiggins would have had a job to keep up with them – they were awesome! They left me standing I can tell you. This was our last ride of the year AH! But we will be back in 2017 for more fun and excitement on 2 wheels. If Santa brings you a bike then JOIN the OLD CRANKS. October Bike Ride - Blisland and St Breward. Old Cranks Cycling Group have been let loose again! This time only 5 of us on the ride from Bodmin, Blisland, lunch at the Old Inn St Breward and back to our cars. Most enjoyable it was. We would welcome any new members to the cycling group - so if you have a bike why not join us on our next ride - details to follow. It would be nice if we could have a good turn out as the September Ride went ahead with just Nick and Jo. Blisland is best approached from Longstone on the Bodmin to Camelford road in order to avoid the A30 roadworks. Parking is available on the road all around the green. 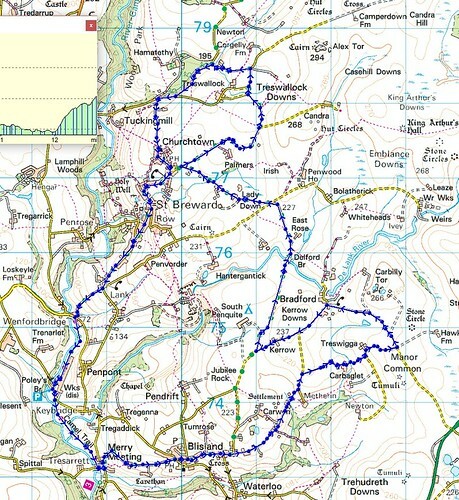 We will route via minor moor roads to St Breward and lunch at the pub at Churchtown. A lunch menu is available in the pub, but you can bring your own packed meal to eat in the garden, but please at least buy a drink in the pub. We then go downhill to join the Camel Trail and climb back up to Blisland. Distance is 12.8 miles, climbing a total of 1280 feet. Old Cranks Bike Ride 17th August and believe me when I got home after the ride my knees were aching like an old crank. 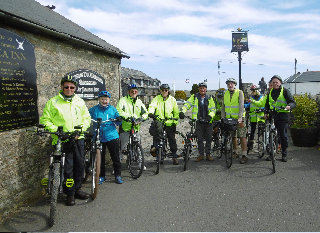 We cycled from Lostwithiel to Boconnoc Estate for the start of the ride where me met two riders from Liskeard U3A making nine in total. A leisurely ride through the grounds of Boconnoc paying close attention to the risk assessment which had to be carried before permission for the ride was granted. Leaving the Estate close to Boconnoc Church we made our way around rather hilly country lanes to Lanreath and on to the Jubilee Inn at Pelynt for lunch and the appropriate liquid refreshment. After lunch it was back to Boconnoc to complete a circular ride of around 18 miles. The ride didn't go without incident as one of the Lostwithiel riders had mechanical trouble with the bike making it unrideable. Fortunately one the two members from Liskeard came to the rescue in the true spirit of the U3A and after a phone call arranged for his daughter from Castle Dor to bring transport to pick up the bike and rider. How good was this?. Many thanks to Boconnoc Estate for allowing us to cycle through their beautiful grounds. 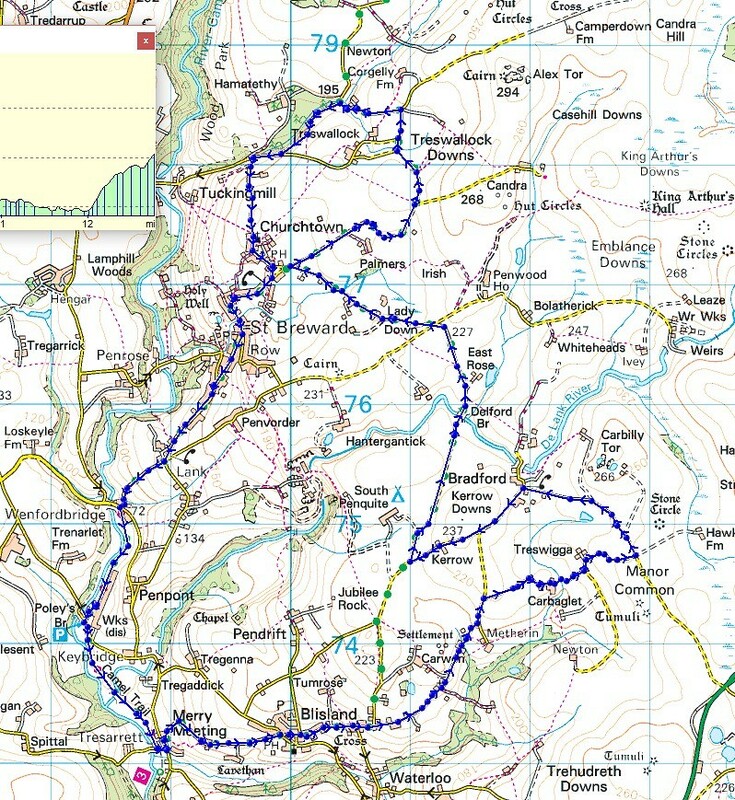 You can see the route taken by following this link. About 14 miles - all on roads with some hills. From Lostwithiel A390 to St Winnow School, turn right at the side of the Old Garage, up the hill and turn left then next right signed Couches Mill. About half a mile there is a white gate on the left into Boconnoc. (please close the gate) Parking is on the right near the cricket pitch. We have permission to cycle through the estate on our way to Lanreath and then the Jubilee Inn at Pelynt for lunch. There are some picnic tables which we can use but we would have to buy a drink and/or food. Then back to Boconnoc via country lanes. I have had to do a risk assessment for the estate before they would grant permission for our ride and they have asked if I will let them know how many people there will be. So please let me know beforehand if you can make it. What a great day for a bike ride. Six of us left Bodmin and cycled to Wadebridge and on to Padstow for our lunch stop. The weather was perfect and the riders all behaved extremely well, with the exception of Reuben Pike who on occasions shoots ahead of the group at astonishing speeds culminating in a series of “wheelies”. A sight to behold I can tell you! On the way back when asked “who would like an ice cream” the response can clearly be seen from the photograph. 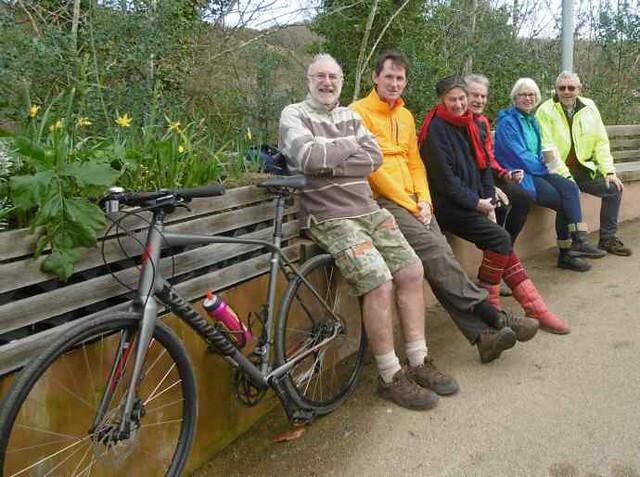 Remember U3A members if you have a bike then please join us on our monthly ride. I have a super ride lined up all on quiet country lanes it's a bit hilly in places but no problem for electric bikes. Malcolm and I did ride and got lost. I did it again and got lost, so this time we will get it right! Park at Lanivet FREE Car park. 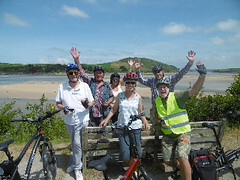 We will then cycle to Nanstallon, Withiel, Demelza, Mount Pleasant and back to Lanivet. There are some bench seats at Withiel but I did not see anywhere to buy food or drink so bring your own. This is Cornish countryside at it's best. See PDF showing the ride in red. around Colliford Lake. Stopping for lunch at the Colliford Lake Tavern, which was closed (I know that I should have checked it out) Anyway we used their picnic tables or at least the ones that brought food did! It was a lovely day except for the rather strong cold wind and a few challenging inclines. 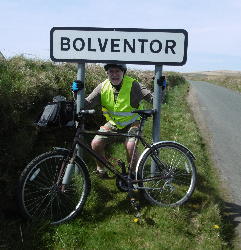 But as ever a most enjoyable ride was had by all except those who couldn’t buy a coffee at the tavern and I still think that it was a bit unfair of them to tie me to the Bolventor sign. On Wednesday 16th March ten riders met at Innis Downs and cycled down the Old A30 (it's hard to believe that this was the main trunk road through Cornwall). Continuing to Victoria and under the Iron Bridge taking care not to strike the parapet as so many lorries have done in the past. We then cycled along quiet rural roads towards Roche, and St Stephen with the new incinerator in view. Down to the Indian Queens roundabout and along the road passing the Owl Sanctuary. Stopping for lunch at Castle Caravan Park who kindly allowed us to use the picnic tables. If you mention the U3A people always seem to be so obliging. After lunch it was on to the village of Belowda and back to our cars. Whilst it was a bit on the cold side when set off at 11am by the time we got back the sun was just about shining and we didn't get lost on the way and please take note how we are all wearing high viz tops and helmets. The ride started from Tywardreath Highway (a big thanks to St Blazey Motorcycles for allowing us to use their car park). Luxulyan Village, returning via the valley to our cars. What a great ride! 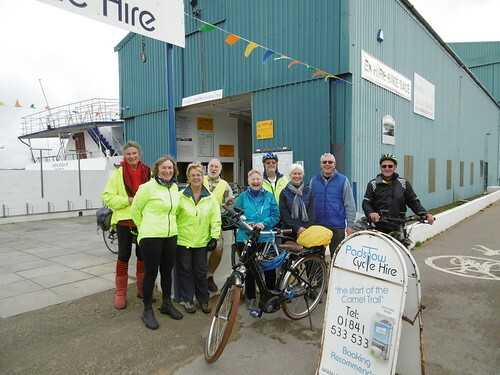 Cycling is such fun and keeps you fit as well – if you have a bike why not join us on our next ride which will be on Wednesday 16th March – unless it’s raining. 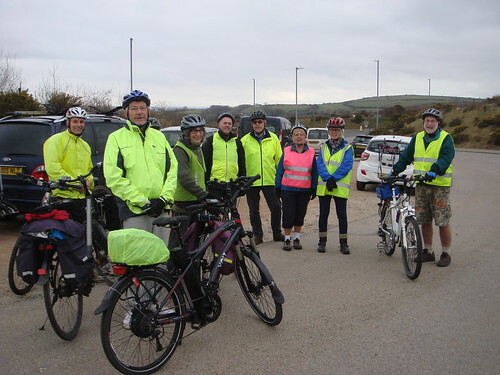 January Bike Ride - Wednesday 20th January 2016 - assuming it ever stops raining! Around Par and Carlyon Bay with stop for lunch at the Eden Project. Distance around 14 miles. Meet at 11am. We have permission to Park at St Blazey Motorcyles, Tywardreath Highway. We will then cycle to Par and along the beach road, through the holiday park. Along Par Moor Road to Carlyon Bay then back towards Biscovey. From here we will cycle to the Eden Project where we will stop for lunch. Either bring your own or use the Café. You don’t need an Eden Pass and you don’t have to pay. After lunch we will go back to our cars via Prideaux Valley. 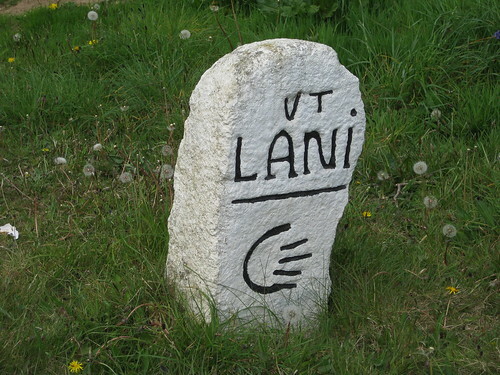 directions to the car park.